A huge medically under-served population, rising medical bills and the future needs of a country, make a fit case for better health insurance coverage. Industry body FICCI says that the country should aim at providing health insurance cover to at least 80 per cent of Indians by 2020 — an aim it highlights in the Health Insurance Vision 2020 released on Friday. Antony Jacob, Chief Executive Officer, Apollo Munich Health Insurance, said the unmet medical needs of the country are likely to go up by leaps and bounds by 2020. 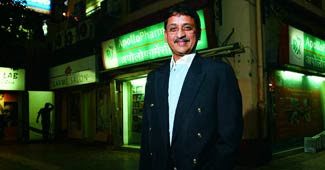 He estimated that even if the health insurance industry grows at 20 per cent or more by 2020 the uninsured medical costs would run into over $200 billion, that is, Indians would be paying $200 billion in medical costs from their own pockets. T.S. Vijayan, Chairman, Insurance Regulatory and Development Authority, also highlighted a gap between health insurance products and people’s needs. He said that often product offerings are not clearly specified, which lead to claims being rejected. “Insurance is all about settlement of claims. If claims are settled in time the industry has come of age,” he said. 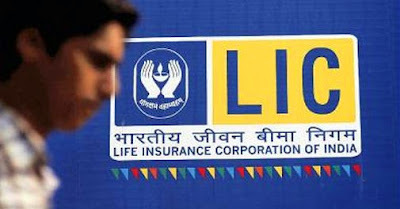 India’s largest insurer Life Insurance Corporation of India (LIC), has kicked-off a massive customer campaign informing customers to buy their popular products before January 1, 2014. The campaign which read, ‘Your favourite products now available till December 31, 2013 only’, mentions the popular products Jeevan Tarang, Jeevan Anand, Bima Bachat and Jeevan Saral, which would be phased out from January 1 onwards. LIC, which has already withdrawn 19 of its products, is expected to halt sales of several more products in December. From January 1 onwards, the insurer will begin with a portfolio of 15 products, some of which would be modifications of existing products. The new product regime that has made changes in the surrender charges and product structure of traditional policies will be enforced from January 1, 2014. These guidelines, which were earlier to be implemented from October 1, 2013 had led to a customer frenzy due to fear of non-availability of the products from October 2013 onwards. Industry experts said that this was the primary reason why LIC had seen a sharp rise in new premium business in September. A similar jump is expected in their first premium for the month of December too. People living with diabetes, who are often denied insurance cover, owing to their chronic ailment have help at hand. Apollo Munich Health Insurance has launched a product called 'ENERGY'- The Sweetest Thing for individuals living with Diabetes Mellitus 2 and/or hypertension. The product is said to have been designed as a complete package that provides insurance cover as well as works with the insured to help them manage their health condition by giving them an array of information, tools and support. "What makes the product unique is that it combines health insurance, wellness, counseling, incentives, technology, and community together in a very holistic and seamless way, keeping the needs of people living with diabetes in mind," Antony Jacob, chief executive officer told reporters. Insurance watchdog IRDA said it estimates insurance business in India to touch Rs 4 lakh crore in current fiscal. 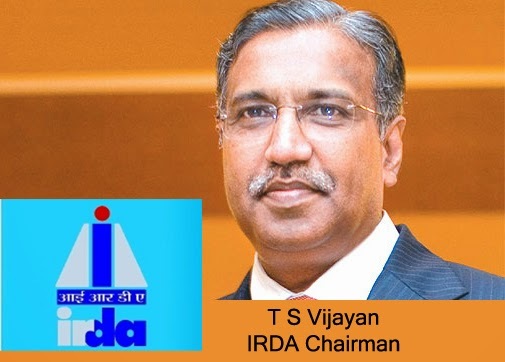 IRDA Chairman T S Vijayan also said the regulator is mulling to bring out norms for sub-brokers of insurance products. He, however, did not put any time frame for bringing out guidelines. "October seems to be business is good for all companies, both life and non-life. Whole year there should be a good growth compared to last year. Last year industry has collected Rs 3.75 lakh crore," Vijayan said on the sidelines of a programme. When asked if the business would touch Rs 4 lakh crore in the current fiscal, he said: "Anybody's guess. It will be somewhere around that (Rs 4 lakh crore)." Insurance cover for company deposits? 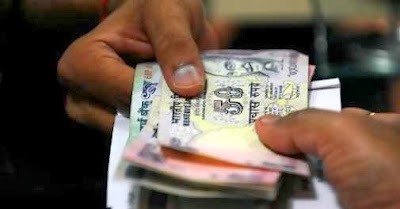 In an attempt to safeguard investors from fraudulent money-collection schemes, the government has proposed mandatory insurance cover for public deposits garnered by companies and a penalty of up to 18% annual interest for defaulters, a report in The Times Of India said. The premium of the deposit insurance c company deposits over would need to be paid by companies and a penalty at an annualised interest rate of 15% would be slapped on those which do not provide a deposit insurance to their depositors, the report added. The proposed measures, which form part of the draft rules for the new Companies Act, also bar the firms from promising huge returns and hefty agent commissions in excess of the prevailing rates prescribed by RBI for such deposits. With the rise in cases of online fraud, National Payments Corporation of India (NPCI) has decided to provide an insurance cover for such transactions. NPCI will tie up with general insurance companies for this; it has called for a Request For Proposal (RFP). This would cover both domestic and international transactions, all those done by swiping a card, PIN-based transactions on ATMs or points of sale and e-commerce transactions with two-step authentication. 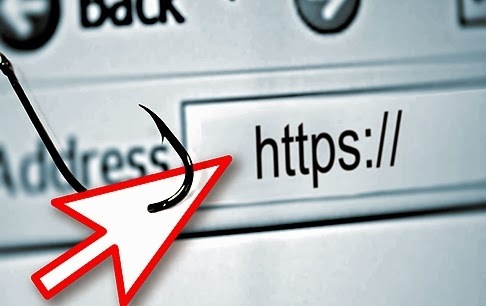 According to the Kaspersky Consumer Security Risks Survey, a global study conducted by B2B International and Kaspersky Lab in the summer of 2013, about 41 per cent of users who lost their money as the result of financial cyber-fraud failed to get a single cent returned to them. And, only 45 per cent of users who suffered through online fraud were fully compensated. In 17 per cent of cases the money disappeared during e-banking sessions; 13 per cent of the victims were customers of online stores. Life insurance for people with AIDS and HIV may soon become a reality, according to The Times of India. The insurance regulator has issued draft guidelines seeking views and comments from insurers on issuing life cover policies to persons with HIV/AIDS, the report added. The draft circular by the Insurance Regulatory and Development Authority ( IRDA) on policies for people with HIV/AIDS, issued this month, may come into effect from April 2014. Insurers are expected to put in place a board-approved underwriting manual, claims manual, proposal form and other necessary systems before this date. A vast majority of those afflicted in India are in the age bracket of 15 to 49 years. As per estimates, about 2.4 million Indians are living with HIV/AIDS. Children less than 15 years account for 3.5% of it while 83% are in the age group of 15-49 years. Agriculture is the back-bone of Indian economy and agricultural workers make up more than two third of the total workforce of the country. Almost the entire workforce engaged in agriculture, forestry, fishery and plantation is unorganized. Crop production in India is dependent largely on the weather. In addition the farmers face other production risks as well as marketing risks making Indian agricultural a risky enterprise. 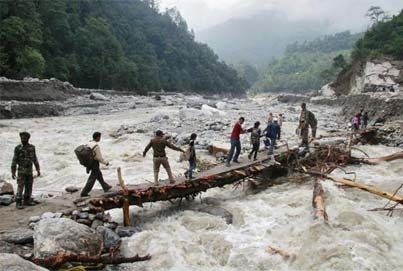 Crop insurance is a means of protecting farmers against the variations in yield resulting from uncertainty of practically all natural factors beyond their control such as rainfall (drought or excess rainfall), flood, hails, other weather variables apart from fire, pests and diseases, accidents, etc. A number of crop insurance products are available to farmers in different geographical areas and for different purposes. Policy indemnifies against loss sustained due to loss of life of cattle / livestock. Policy indemnifies against loss sustained due to loss of life of Sheep or Goat. Policy provides indemnity to insured for the loss sustained by him due to death of his elephant used for commercial/religious purpose. Policy does not provide cover to circus elephants. Policy covers death of pet dogs of Cross-bred and exotic breeds between the age group of 2 months to 8 years. Policy covers Total loss of prawns, Nursed seeds in hatcheries owned by state Government, FFDAS, State Fisheries Corporation, MPEDA or such other organisations. Policy covers total or partial loss due to death of silk worms of different variety due to disease or accident. Policy Covers individuals in the age group of 10-70 years against death or total / partial disablement. Policy covers Loss or Damage to the Insured tree / plant due to fire / lightning / storm / hailstorm / cyclone / tempest. Policy covers pump sets used for agricultural purposes against Electrical/Mechanical Breakdown, Fire /Lighting, Theft and Burglary, Riot/Strike/Malicious damage etc. Our home is our most valued possession. It's a dream come true for most Indians. People take out homeowners insurance for the same reason that they take out car and health insurance: If a home is damaged or someone else injured on the property, insurance helps owners cope with the financial consequences. Accidents can take place at any time and that is why it is necessary to play safe and take the necessary safety net available through insurance. Opting out of home content insurance or flood damage insurance would bring unimaginable misery in case of an accident. Homeowners insurance isn't just for victims of major disasters. From water damage to vandalism to someone accidentally injuring himself at your home, homeowners insurance has many applications. The right home insurance cover will help you in recovering livelihood of your life time in case of any mishap. A natural disaster or accident that may destroy or damage homes severely could lead to huge rebuilding or repair costs that people may not be able to afford at all. Home insurance also provides protection from any liability and legal responsibility for damage or injury your property, you or any member of your family including pets may cause to others. You should therefore opt for the right home insurance that fits in your home budget. Your home insurance policy can also include cover for expensive personal belongings such as jewellery, cash, expensive electronic gadgets and appliances. You can choose to buy insurance for only the building (structure) of your home, or only the contents (belongings) or both. under lock and key, up to 25% of the total content sum insured or 1 Lakh, whichever is lower. Jewellery, silver articles and precious stones are only covered for Burglary cover and not for Theft. Terrorism Cover: Covers any damages and losses to the structure and / or contents of your home due to acts of terrorism. Additional expenses of rent for alternative accommodation: If you are forced to shift into an alternative accommodation because your home is destroyed or damaged by any insured peril, the policy will cover you against the additional rent. The maximum coverage is up to Rs.1 Lakh for up to 6 months. This cover is available only if you are insuring the structure of your home. Motor insurance is one of the few compulsory forms of insurance in India. Motor insurance broadly covers two-wheelers like scooters and motorbikes, three-wheelers or four wheelers for private use and commercial vehicles. 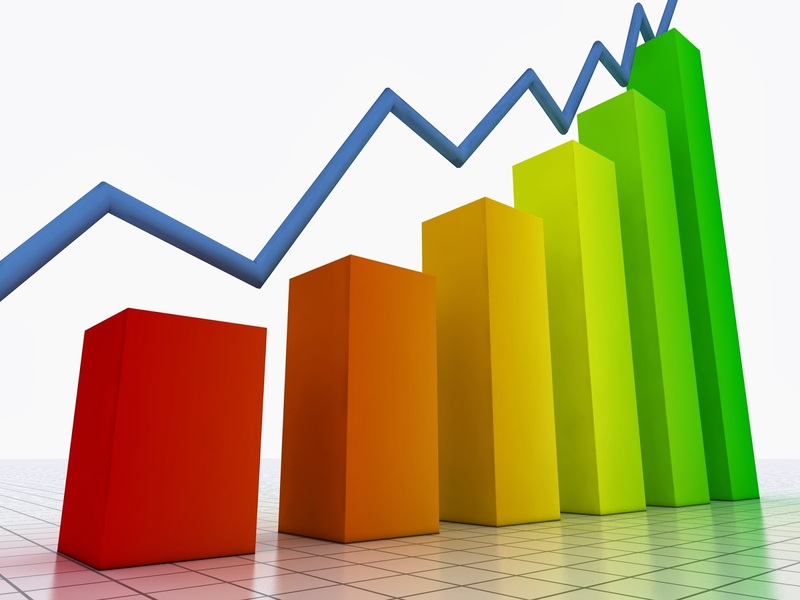 This is one of the fastest growing segments in the insurance sectors. Most car manufacturers have tie-ups with leading insurance companies to provide quick insurance to its customers. Apart from being a legal compulsion, car insurance enables you to safeguard against loss or damage to your car due to an accident, theft, fire, earthquake, floods, strike, riots etc. On payment of appropriate additional premium it covers loss or damage to electrical or electronic accessories and other significant items. Two wheeler insurance is another fast growing segment in the insurance sector. It is mandatory to take an insurance for your two-wheeler. 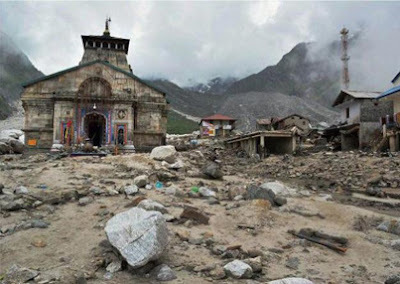 This insurance provides protection against natural and man made calamities including fire, rockslide, landslide, storm, hurricane, flood, earthquake, burglary, theft, riots or any damage caused to the vehicle in transit by road, air, inland waterway or rail. Two wheeler insurance provides mandatory personal accident cover of Rs. 1 lakh to the insurer. This accident cover can also be chosen for passengers. It also protects against legal liabilities arising due to third party injury/death or damage caused to its property. This type of insurance covers all vehicles which are not used for personal purpose including trucks, buses, heavy commercial vehicles, light commercial vehicles, multi utility vehicles, agricultural vehicles, ambulances etc. It covers loss or damage by accident, fire, lightning, riots, earth quake, hurricane, terrorist attacks, explosion, theft, third party claims and damages (like liability for third party injury or death, third party property and liability to paid driver). The premium is calculated on the basis of the make and model of the commercial vehicle, place of registration, year of manufacture, current showroom price and whether the insurer is individual or corporate. Most vehicle manufacturers have tie-ups with leading insurance companies to provide different kinds of easy and comprehensive plans for safe and easy insurance policies. There are quite a few things in life that the average household can live without, but life insurance should not be one of them. The importance of life insurance increases as the number of people in a household increases. A single person with few, if any, close relations can get by on a very little life insurance or perhaps no insurance at all. The main reason people consider buying life insurance is to protect the people they leave behind. Having coverage in place is especially important during the policyholder’s main earning years. Life insurance is a way to protect your family against possible financial trouble or even ruin, depending on your circumstances. Life insurance is also a way to relieve some of the anxiety that family members may feel as they wonder how they will get by should a breadwinner in the family pass on. Some forms of life insurance can even be used as a means of saving money over the long term. It is important for you to understand that "life insurance" is a very broad term. There are various types of policies and often one will be a far better option for a particular family or person than another might be for that same family or person. You should be insured for at least 100 times your monthly income, according to experts. A Term Life Insurance plan is the best way to secure the family financially. Term Plans are affordable and allow a person to adequate Sum Assured. Life cover from Rs 10 lakhs to Rs 10 crore! Illness strikes when you least expect it. But who saves for an ailment? There can be no room for compromise when it comes to insuring your health or that of your family. While many of us insure our homes, vehicles, children’s education etc we do not often insure our health! Health insurance is particularly critical if you are self-employed or do not participate in your employer-sponsored health care plans. 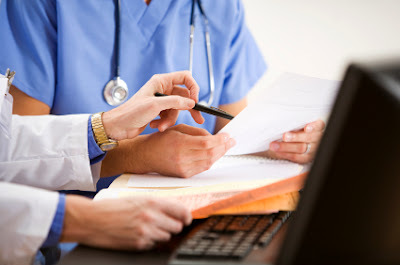 Medical costs are becoming increasingly expensive along with the advances in medical technology and diagnostic tools. There are various insurance schemes that provide you with a cushion of support to take care of medical expenses as and when they arise. Broadly speaking, health insurance is available for an individual or as a family floater designed for a nuclear family’s health insurance needs. This plan enables you to cover your immediate family (you, your spouse and up to 2 children). 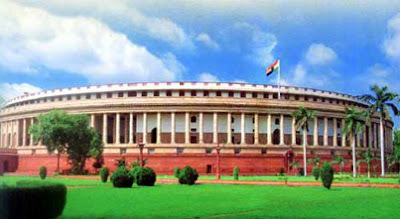 There are also plans designed for the unique needs of the Indian Joint Family. It allows you to cover not just your spouse and kids but each and every member of your family. 24/7 Healthline This facility has been put in place to offer you access to health advice when you need it. Cashless facility You can access cashless facility at quality hospitals near you. Domiciliary Treatment : We pay for medical treatment taken at home, which would otherwise have required hospitalization. Emergency ambulance We will cover ambulance expenses to transfer the policyholder following an emergency to the nearest hospital. Health Relationship Programme Under this program, you are eligible for health services and products with a market value of up-to 10% of your last paid premium. No age restriction for enrollment: There is no minimum or maximum age of enrollment. 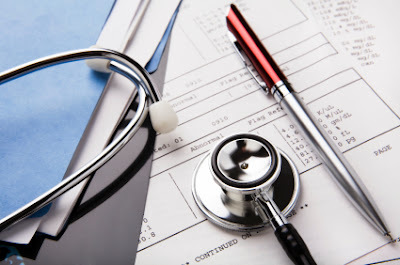 Pre & Post hospitalization Medical Expenses Medical Expenses incurred due to Illness up to 30 days period immediately before you get admitted to a hospital and 60 days immediately after you get discharged from a Hospital. Manufacturing Units, Warehouses, Shops, Offices, Hotels, Schools, Hotels, Hospitals, Offices, Residential or Commercial complexes could be exposed to loss or damage due to innumerable risks such as natural catastrophes, Fire, Burglary, theft etc. The core coverages offered are Fire & Allied Perils Insurance and Fire Consequential Loss Insurance. Package policies against risks of Burglary, Money, Employee Infidelity, All Risk Insurance (for portable equipment), Plate Glass and Travel Baggage Covers etc. can also be covered. Perils insured are fire, lightning, explosion / implosion, impact damage, aircraft impact, bursting / overflowing of water tanks / pipes / apparatus, sprinkler leakage, storm, cyclone, typhoon, hurricane, tempest, tornado, flood, inundation, subsidence, landslide including rock slide, riots, strikes, malicious damage, missile testing operations. Other perils which can be insured as add-on covers are Earthquake cover, Terrorism cover, removal of debris, spontaneous combustion etc. This policy covers loss of profits of a business due to reduction in the turnover caused by a loss or damage covered in the Standard Fire Policy. This insurance includes cover for Increased Cost of Working following the loss of Standing Charges. To the insured’s premises or contents caused by actual or attempted burglary/robbery (excluding valuables unless specifically insured). This section covers breakdown of any business appliances such as photocopying machine, deep freezers, Money Counting Machines, AC’s, etc. solely as a result of electrical or mechanical breakdown. This is an ALL RISK COVER and losses or damages due to any cause other than those specifically excluded are covered. Liability Insurance can help protect directors and officers against the financial burden of litigation, damage to their reputation and loss of personal assets. Cover for legal costs and expenses is important as litigation involving company directors and officers is often difficult to deal with and costly. Liability Insurance provides company directors and officers with the confidence to deal with the challenges of business. In today's fast-changing world the chances of bodily injury due to accident has increased by leaps and bounds. Bodily injury of the bread earner resulting in death or disablement may prove particularly distressing for the dependants and family members. To protect the dependants and the family members from such a scenario, protection under Group Personal Accident Policy is available. The policy kicks into action and pays compensation in case of death or bodily injury to the insured member of the group due to an accident. Various options are available under this policy ranging from cover for death due to accident, permanent partial disablement to temporary total disablement etc. The compensation varies for death, permanent disablement and temporary disablement. Though, it is difficult to put a value on human life, to avoid any misuse of the policy, the Sum Insured depends on the Income of the person/ member of the group.